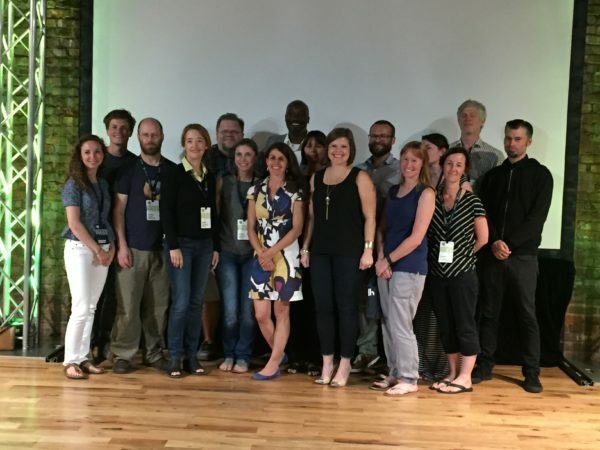 Throughout the weekend of September 9-11, mentors from across Mozilla’s extended network met at Hive Chattanooga to help local educators and entrepreneurs prototype the future of civic and educational technology in the Gig City. 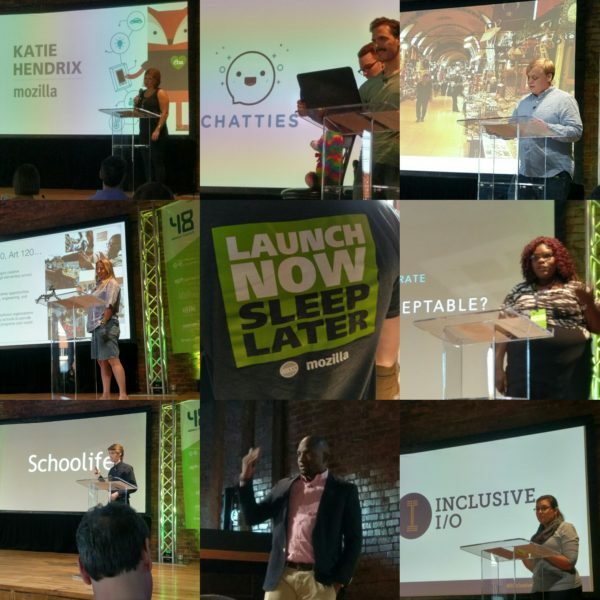 Our mission was to support the Company Lab’s IoT edition of their increasingly popular 48Hour Launch event. For two days and nights, mentors collaborated with local entrepreneurs to harness the potential of connected devices to change the way we live, learn, and work. In order to explore ideas around emerging technology and education, the theme of Internet of Things (IoT) was chosen for the event. Prior to the weekend, CO.LAB worked with Mozilla to connect participating entrepreneurs with resources from the community to start thinking about their submissions. Friday night began with presentations from the finalists and an invitation to all participants to join their teams. Energy was high as people mingled between groups, deciding how they would devote their energy over the weekend. Saturday was a day of innovating, testing hypotheses, and foundation-building. Throughout the day, teams connected with mentors and experts to design brand elements, develop prototypes, prep with legal, and get their Arduinos and Raspberry Pis fired up. The CO.LAB crew provided room to think, a supply of energizing food, and an endless pitchers of delicious sweet tea and lemonade. Throughout the final day of the event, teams worked feverishly to finalize their prototypes and business plans with their mentors and the local experts. Participants were purposeful and focused through the home stretch, up until the 4:00pm deadline. Then it was time to practice pitching before the big moment on stage. We moved to a the beautiful Church on Main Street where we were joined by 125 attendees from the Chattanooga community. The first place prize went to Forrest Pruitt, founder of Viator VR – a virtual reality platform that submerges users in interactive language learning experiences. Cristol Kapp came in second place for launching Inclusive I/O, a space that provides engaging activities for students of all abilities to explore and create. Two individuals, Matthew Nassar with Chatties and Ashlanett Miller with Digital Windows, earned free trips to MozFest in London this October. For full details of the prizes and winners, check out CO.LAB’s blog post about the event. In Austin? Join us for an Information and Networking Meetup event on September 24 at the Google Fiber Space.